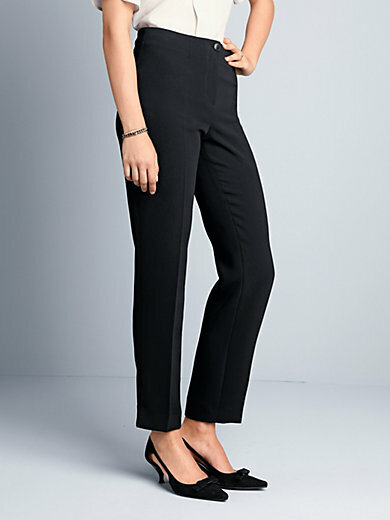 Ankle-length trousers by RIANI: narrow cut without waistband. Permanent creases and 2 small hem vents. Inside leg length approx. 29 ins. Ankle width approx. 13 ins. Machine wash.